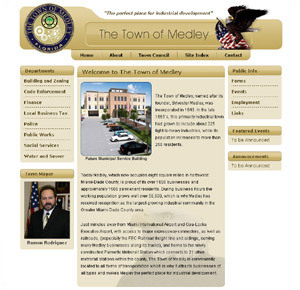 The Town Of Medley is a complete css optimized website developed with seo in mind. We created a custom layout trying to create a user friendly structure making the site as simple as possible to navigate. 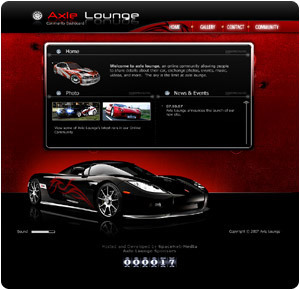 Axle Lounge was built for car hobbiests to meet, and share information about their cars. We integrated both a flash site, as well as a full community site with forums, blogs, videos, and more into this project. 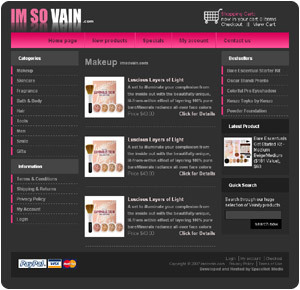 I'm so Vain is a shopping cart site built for reselling cosmetic products. We designed as well as integrated a shopping cart into this project and setup a ppc campaign to help advertise their company to the masses. 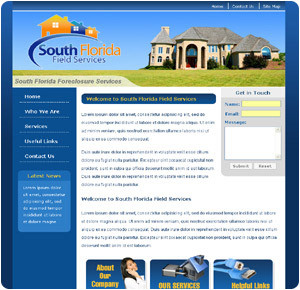 South Florida Field Services is a complete CSS optimized website developed with a custom website layout. This website was designed with a user friendly interface, allowing visitors to easily navigate through the site. 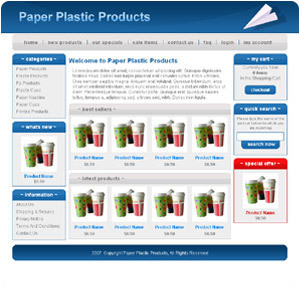 Paper Plastic Products is a completely optimize Shopping Cart Website. 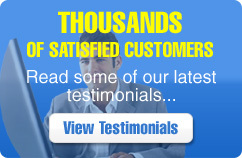 It is using a custom website design, optimized for speed, SEO, and a user friendly interface. CF Boats is a clean CSS optimized website. We created a custom design making it very simple for visitors to navigate and find what they want. 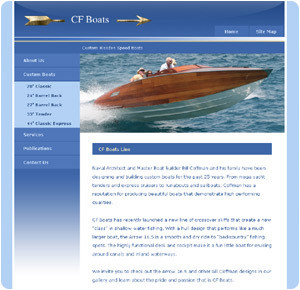 CF Boats was optimized for speed and SEO in mind. 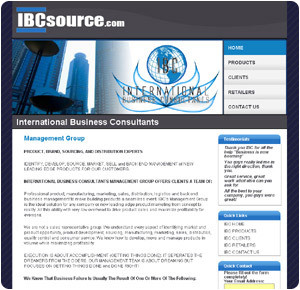 International Business Consultants website is a custom design developed completely in CSS. This site was developed with the visitors in mind allowing easy to navigate pages. 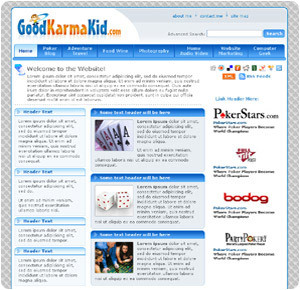 Good Karma Kid is a custom website that we developed in complete CSS, optimizing the pages for search engines and also load time. It has been tested on multiple browsers insuring its functionality.